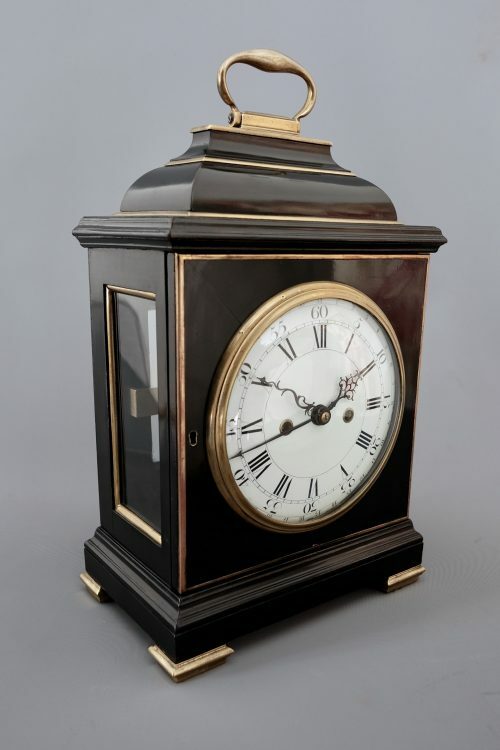 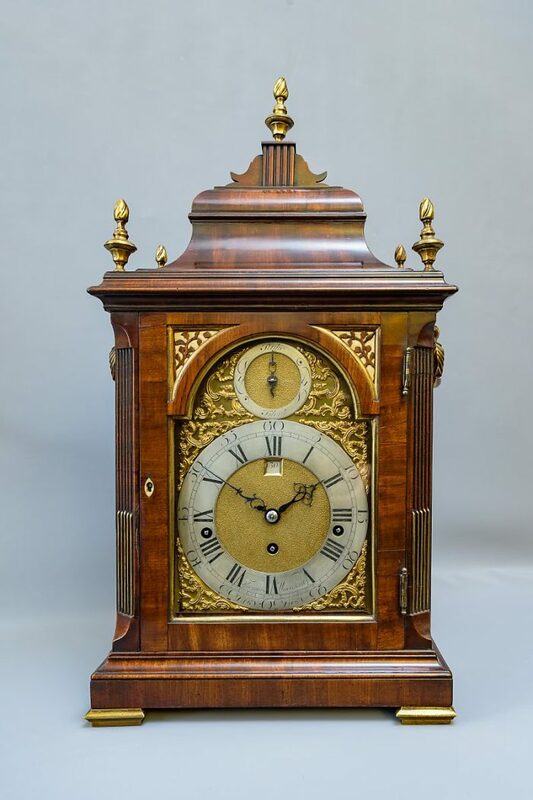 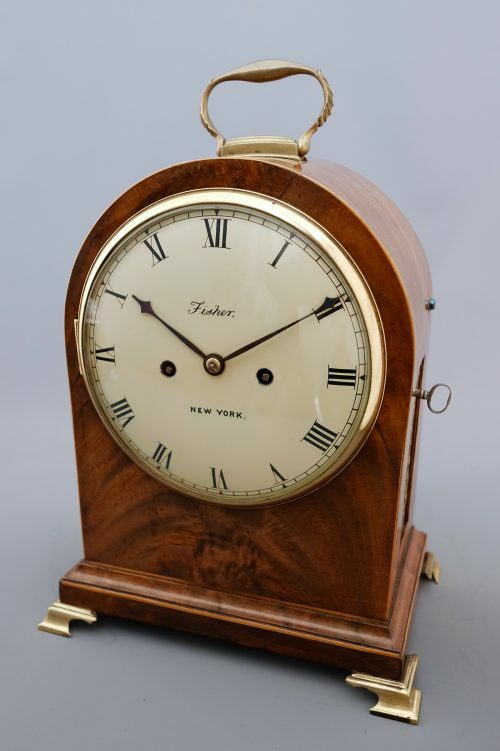 A George III brass mounted mahogany triple fusee striking and quarter chiming bracket clock. 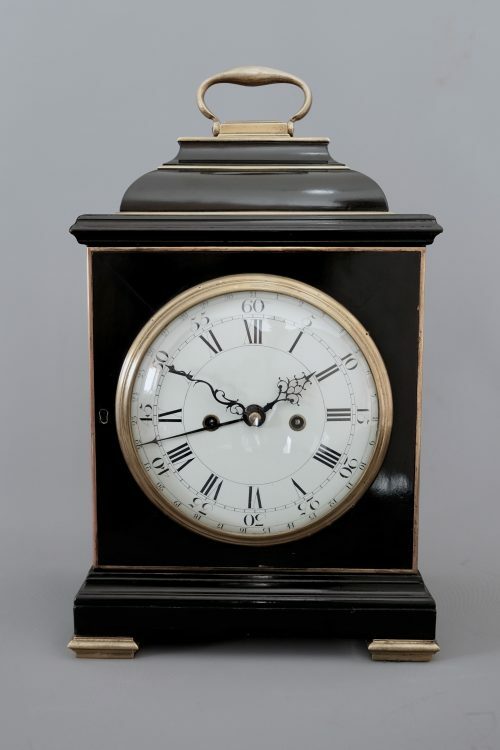 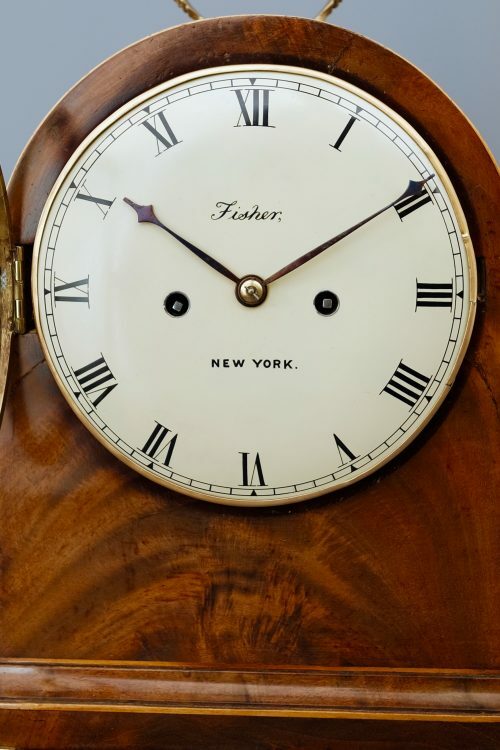 A handsome quarter chiming clock of slightly smaller proportions. 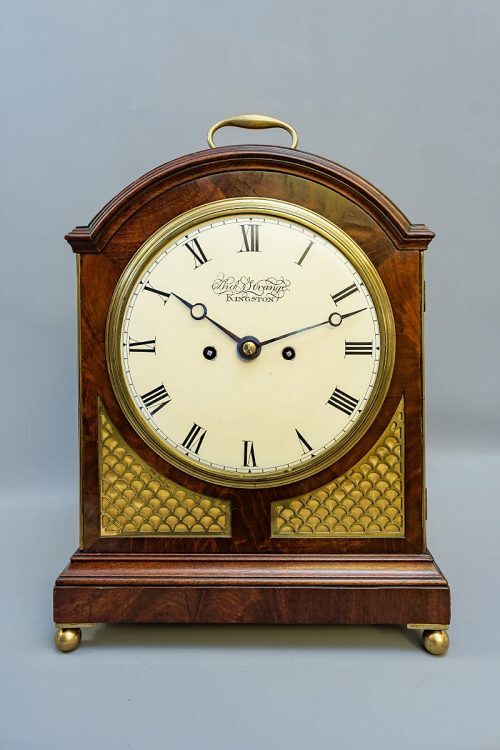 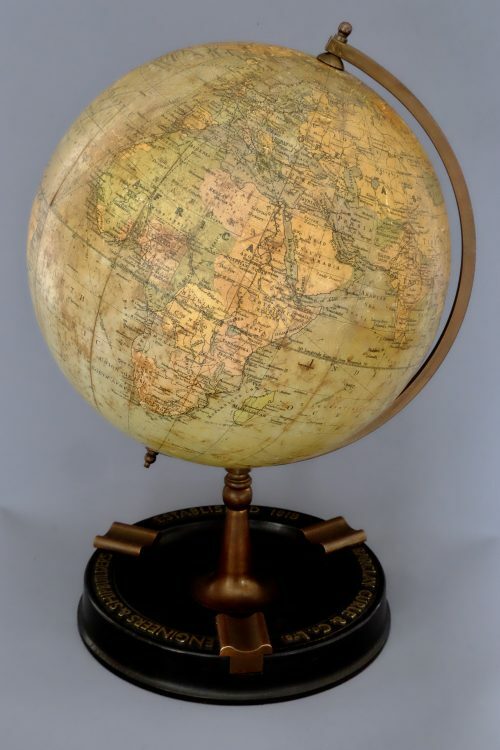 Wagstaff is an interesting maker and the use of choice veneers and fine workmanship shows his care and attention to detail.